The Columbia River Gorge and Oregon in general is on the migration route for bald eagles coming from Alaska, Yellowstone, Arizona and more. One of the best places to view these eagles is The Dalles Dam Visitors Center, look out the window you'll likely see one while you're parking the car. It is a beautiful sight to watch these majestic birds in the wild, but please remember to respect them. It is illegal to kill, harm or trap any bald or golden eagle. Learn how close to extinction these eagles came below. In the 1950s and 1960s seeing a bald eagle was extraordinarily rare. By 1963, mainly because of the widespread use of DDT, bald eagle populations had fallen to just 500 breading pairs in the entire lower 48 states. But a book written by Rachel Carson in 1962 saved the bald eagles from extinction. “Silent Spring“ put the spotlight on the culprit decimating the bird population, DDT, one of the most widely used pesticides in the U.S. In 1972 the Environmental Agency took the unprecedented step of banning manufacture or use of DDT. In 1963 there were only 500 breading pairs of bald eagles in the entire continental USA excluding Alaska. In 1973 they were listed as an endangered species, except in Michigan, Minnesota, Oregon, Washington and Wisconsin, where they were listed as threatened. With DDT banned, the eagle populations grew. By 1995 their numbers were high enough that they were upgraded to threatened in all the lower 48 states. 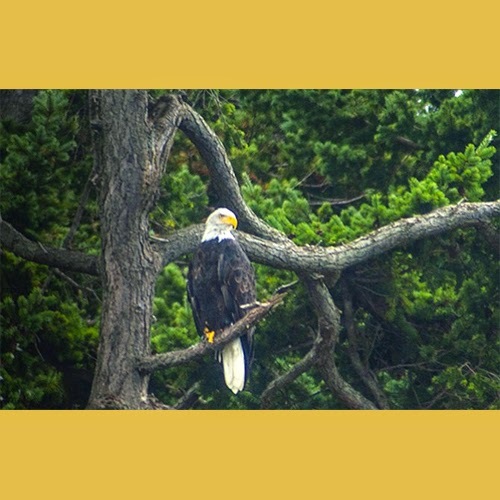 As of June 28, 2007 their numbers had risen to just over 10,000 breading pairs and bald eagles were removed from the endangered and threatened list. Extremely extraordinary to find such a great blog, I feel lucky examining this. It would not be reasonable in the event that we compliment all the blog compositions yet not the creator. Incredible Work!